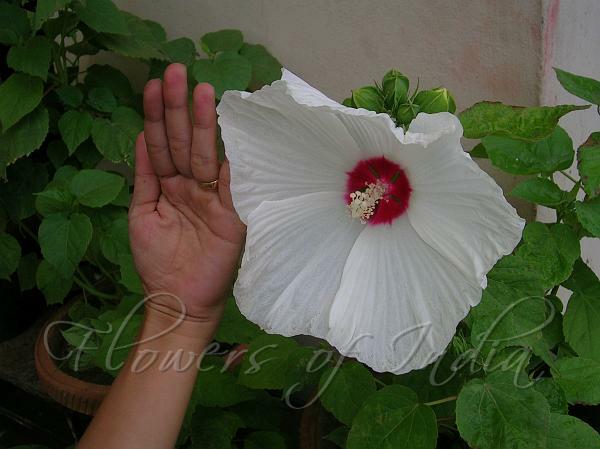 Southern Belle Hibiscus is a cultivar of Hibiscus moscheutos with huge dinner plate sized blooms up to 10 inches across. The plant is a robust, shrub-like plant. Each successive spring will bring larger flowers. This variety is a mixed strain with red, pink, white, and bi-color flowers. 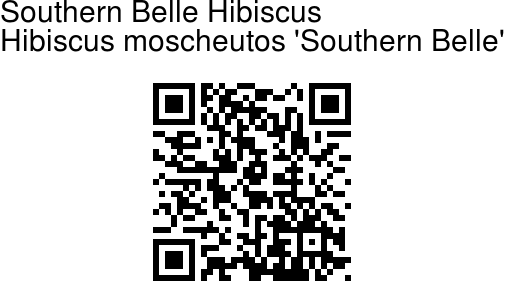 Southern Belle is native to south east US, cultivated world over. Identification credit: Antony Beckett Photographed in Yogi Nursery, Delhi.